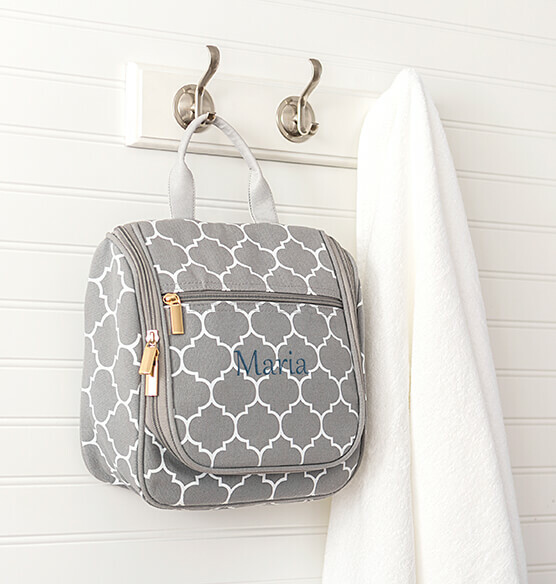 Keep makeup, beauty supplies and toiletries organized and ready to use with this Personalized Women’s Moroccan Hanging Cosmetic Bag. 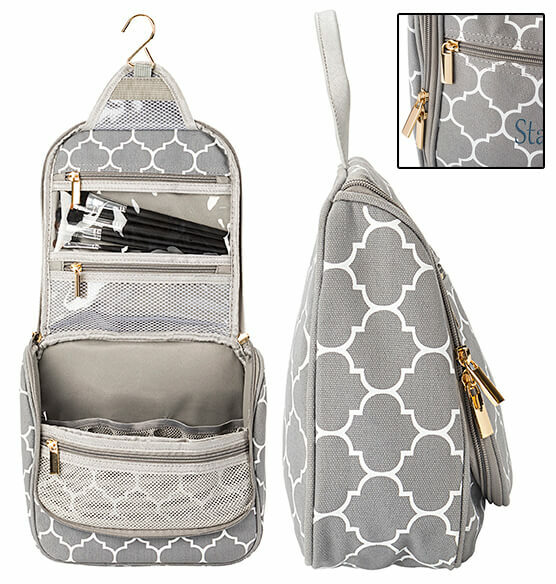 Practical and elegant, this travel makeup bag includes numerous zippered pockets for easy organizing. 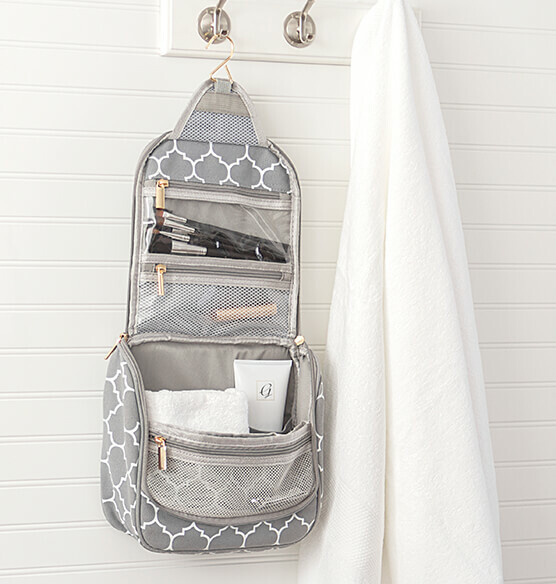 Hang the personalized cosmetic bag on a hook or use the handy included hook to keep the bag open while hanging. 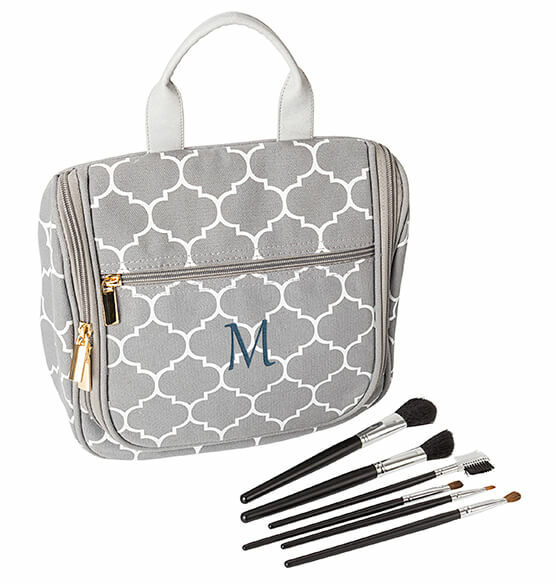 Comes with a 6-piece makeup brush set. 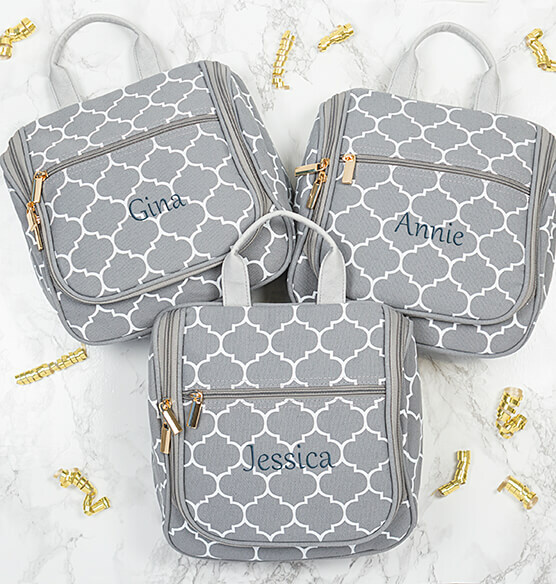 Outside Zippered Pocket: 7 3/4" L x 5 3/4" W.
Inside Zippered Pocket on Flap: 6 1/2" L x 3" W.
Handle: 9 1/2" L x 1/2" W.